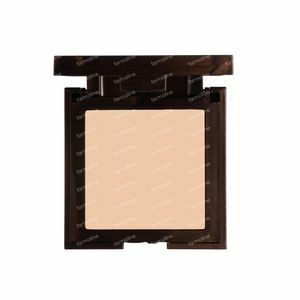 Korres KM Wild Rose Compact Powder WR2 14 g order online. The Korres Wild Rose Compact Powder is a silky smooth powder that has been enriched with botanical extracts for a soft and radiant finish when applied onto the skin. A natural compact powder with wild rose extracts for a velvety and evened out complexion. Suitable for all skintypes. Apply the Korres Wild Rose Compact Powder onto freshly cleansed skin or on top of makeup to set the foundation. Make sure you remove all makeup and impurities from the skin before going to bed, using a gentle Korres cleanser to let the skin breathe again. Ingredients EU: Talc, Mica, Simmondsia Chinensis Seed Oil, Silica, Zinc Stearate, Zinc Oxide, Bertholletia Excelsa Seed Oil, Potassium Sorbate, Parfum, Rosa Canina Fruit Oil, Tocopherol, Glycine Soja Oil, Ascorbyl Tetraisopalmitate. [+/- (May contain) CI 7789, CI 7749, CI 77492, CI 77499, CI 7763, CI 73360].